What are the Solar Policies and Regulations all about? For entrepreneurs and businesses keen on solar sector opportunities, it is critical they understand the key drivers and challenges. In this section, these are provided for two of the fastest growing solar power sectors: Rooftop Solar and MW Solar. Similar insights are provided for off-grid solar products and solutions in an earlier chapter. In India, of the total of about 3,800 MW installed by end of April 2015, almost 3,500 MW (or over 90%) was from MW-scale, grid connected power plants exporting solar power generated to the grid. Any entrepreneur keen on solar energy sector, especially the solar power sector, should hence understand the key aspects of MW-scale utility solar power plants. Solar policies have been prepared and implemented both at the Central and State Government levels. We take a look at the various features of each. For those entrepreneurs keen on entering the MW Solar sector, it is critical to understand and appreciate government policies and regulations. Because, for the next few years at least, these policies, regulations and the various allocations that result from these will be some of the key drivers for the growth of the industry. As an example, a large % of the MW-scale solar capacity in India (over 75% as of Apr 2015) has been through allotments through the central and state solar policies. While the central solar allotments started in 2010-11, states (other than Gujarat) started gearing up on their own solar policies only late 2012 or in 2013. Starting mid-2014, a number of states have joined the solar power allotments group. Solar Mango strongly recommends entrepreneurs get a good grasp of the solar policies, as well as watch out for various announcements from the state and central governments in this regard. We will make it simple for you. Firstly, why does solar power need regulations and policies? It does because, while solar is a sustainable energy source whose growth is highly desired, it is not yet cost competitive with traditional power sources such as coal. However, unless fast growth of solar installations is ensured, it will take a long time for the sector to achieve cost competitiveness owing to lack of economies of scale. Thus, it is the familiar story of chicken-and-egg: Solar power installations need to grow fast in order for solar power to become cost competitive, but left to pure market forces, solar power needs to become cost competitive in order for its installations to grow fast. The question hence is: How can one grow solar when it is not yet cost competitive? This is where government policies come in. Under these policies and the accompanying actions such as financial incentives and allotments, the government (central or state governments) intervene through policies and provide an external stimulus (a subsidy or an incentive in some form) to artificially make solar power competitive, until such stage that it becomes competitive on its own. In the case of National Solar Mission and other state policies, the key intervention is provided through high feed-in-tariffs – that is, higher-than-usual prices are paid to solar power plant developers. As there is a financial incentive involved, there needs to be a cap for such financial incentives. This is where the central and state solar power plant allocations make an entry. 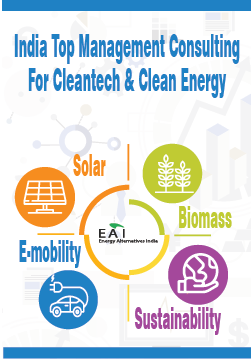 The overall hierarchy is as follows: The centre and each state have individual Solar Policies, which are vision-setting documents that also provide broad targets and guidelines to achieve the targets. Under each policy, multiple allotments are made to solar power plant developers to reach the target. In each case, the state or central government is the purchaser of the power, and the power purchase typically happens through a utility controlled by the corresponding government. Interested developers bid for the tariff they expect to be paid by the offtaker (Rs. /kWh) for the capacity they are willing to build. The tariff may escalate, and the PPA may be for a shorter duration than 25 years (varies from allocation to allocation). The lowest bidders win the allocation. This method is very common in India, used by both the Central and State governments. In this form of bidding the tariff (usually lower than the tariff granted under tariff based bidding) is fixed by the government. Developers bid not for the tariff but for how much financial assistance they will require to build a plant that will be viable at the fixed tariff. The developers who bid for the least funding win the allocation. This method has been used for some Central Government allocations (including the upcoming Phase II Batch III Tranche I allocation). A portion of the allocation is reserved for plants using domestically manufactured components e.g. A 500 MW allocation may reserve 100 MW for plants that use panels that are made in India. The bidding under DCR will be higher than bidding under the remaining open category. DCR has been included in some Central Government allocations (including the upcoming JNNS Phase II Batch III Tranche I allocation). Strictly speaking this isn’t a form of bidding. The government body fixes a tariff that is usually higher than the tariff granted under tariff based bidding. Developers are allocated projects on a first-come-first-served basis until the target capacity is achieved. This method might be followed to prevent the risk of developers bidding for very low tariffs and then building very low quality plants. Tamil Nadu currently follows this method. In the following pages we take a look at the various features of solar policies that have been prepared and implemented both at the Central and State Government levels in the recent past. A few solar plants in various states have also been provided. 833 MW has been commissioned as of 15.12.2014, with Rajasthan alone accounting for about 594 MW. These targets have now been revised and expanded; the new target for the National Solar Mission is 1, 00,000 MW by 2022 (this includes off-grid and rooftop sectors as well), and for MW solar, this target is supposed to be achieved in various tranches. Many states have come up with their own versions of solar policies; while there are many common elements to many of the state policies, the key difference, and the most important is in the tariff structure for solar power to be bought by the state DISCOM. To know the solar tariffs for different states, refer the report. Solar PV offers power at Rs. 6-7/KWh. Diesel power costs Rs. 16-40/KWh, making solar power much cheaper; the price of diesel fuel has increased 300% since 2002 and 46% since 2010. Solar power may be cheaper than grid power, depending on the customer category and jurisdiction e.g., Mumbai LT II Commercial consumers pay Rs. 11.25/KWh which is more expensive than solar. Commercial and industrial tariff ranges from Rs. 6.5-7.4/kWh in Andhra Pradesh, Rs. 4.3-5.1/kWh in Gujarat, Rs. 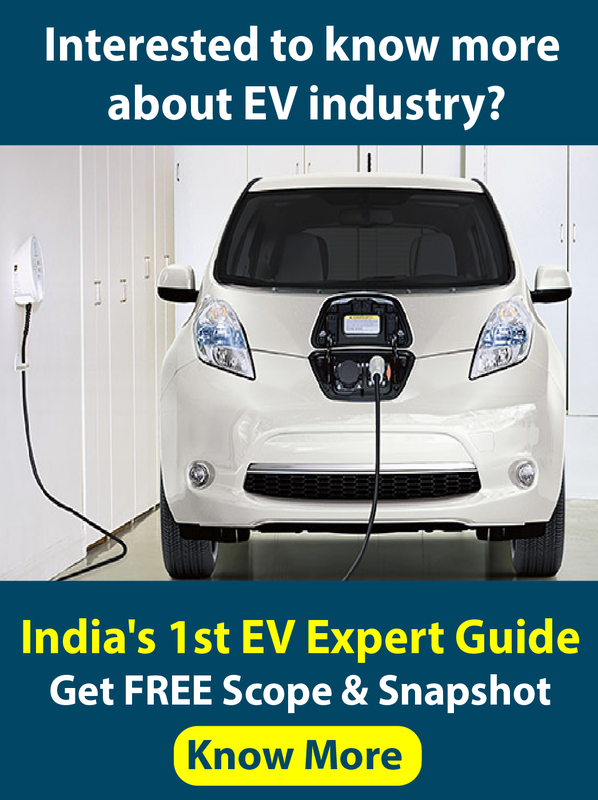 5.8-7.7/kWh in Karnataka, Rs.6.6-12/kWh in Maharashtra, and Rs. 6.0-7.6/kWh in Tamil Nadu. Solar power cost about Rs. 14/kWh in 2010, which reduced to about Rs. 10/kWh by 2012. By early 2015, solar power from MW scale solar power plants cost less than Rs. 7 per kWh. That is, the cost of solar power has decreased almost 50% in just the last 5 years. True, we cannot expect such dramatic decreases any more as the costs of most components of solar PV power plants (mainly the panels and inverters) have started to plateau, but even at sub Rs. 7/kWh, solar power is fast reaching a state in which it is more competitive than grid power. At Solar Mango, even with relatively gradual cost reductions, we expect solar power cost to reach about Rs 6/kWh by mid-2016. At which time, the price paid by end users for conventional grid power, at least in the commercial and industrial sectors, will be much higher than Rs. 6 in most states. There can be no better business case for the growth of large-scale solar power plants. The MW Solar sector has its challenges and constraints as well. Based on Solar Mango’s analysis of the various developments (and lack of them) in the last 4 years, the following are the key challenges and constraints for the growth of MW scale solar power plants in the country. Shortly after the National Solar Mission was announced in 2010, the central government, in a bid to discover “market determined” prices, went for reverse bidding for solar projects – a process in which the government sets the ceiling and the lowest bidders get the allocation. While in theory this is indeed a sound method to determine the best price, in practice the Indian solar developer community is split about its effectiveness, with some claiming that this has resulted in unsustainable prices in certain allocations, as some companies which were fine with making a loss to begin with quoted really low prices to beat the competition, thereby queering the pitch for more established players who have serious long term plans. Many state governments too today follow the reverse bidding price discovery mechanism. Not surprisingly, there have been serious delays in the implementation of solar policies, at least in the case of some of the states. Tamil Nadu, for instance, declared its solar policy in Oct 2012 and announced a 1,000 MW allocation later that year. But as of May 2015, almost two and half years later, not a single financial closure has been finalized for any project under this allocation owing to the bureaucratic hurdles and delays from the state government. Tamil Nadu is a glaring example of such delays, but hardly unique. MW Solar power projects in India are still being financed not the “pure project finance” way but with limited recourse. This is mainly because the banks and other financial institutions are not fully convinced about the ability of solar power plants to stand on their own legs. Owing to the limited recourse method, a number of businesses and entrepreneurs who do not have a prior track record or a strong balance sheet in their existing business find it difficult to do financial closure. With solar power plants being financed at commercial interest rates of about 14%, the high interest burden is making some power plants that do not have a high enough tariff to be financial unviable. The recent announcement by RBI to bring solar power plants under priority sector lending and stated intention of the NDA government to allow dollar denominated tariffs for solar power plants might bring down interest rates, but it needs to be seen to what extent such reductions will happen.